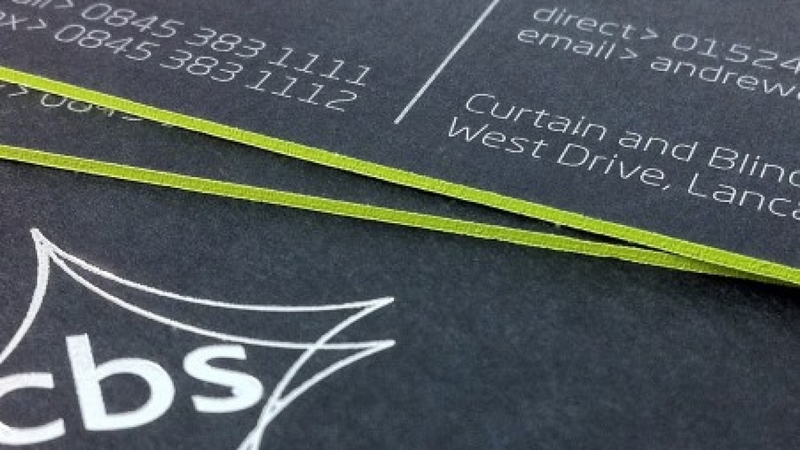 Curtain Blind Specialists of Lancaster wanted to make an impact with their initial contacts and presentations. 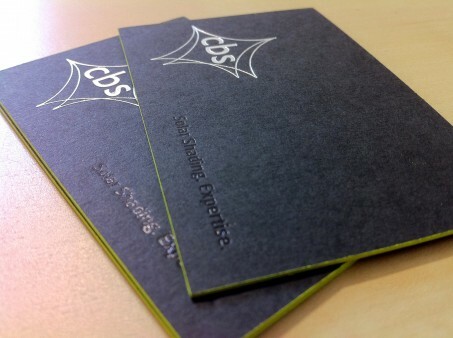 CBS asked us to design a business card that retained their current identity but took them to another level. 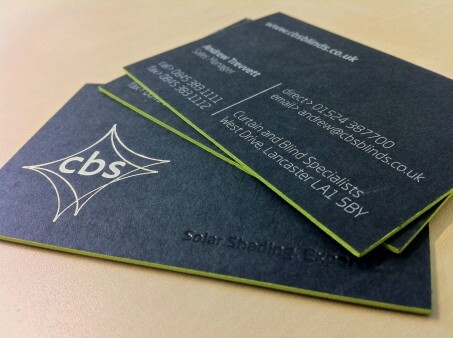 We produced a number of concepts that developed letterpress, foil blocking and edge painting, the final result is a stylish black card, printed on one side in metallic silver and on the front face, silver and black foil, with a vibrant lime green printing on all four edges.